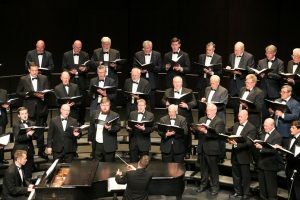 The Conway Men’s Chorus will present WinterSong 2018 at 7 p.m. Tuesday, Dec. 4. The Conway Men’s Chorus will conclude its 20th anniversary year by presenting its 21st Christmas Holiday Concert – WinterSong 2018 – at 7 p.m. Tuesday, Dec. 4, at Reynolds Performance Hall at the University of Central Arkansas. Doors open at 6:30 p.m. with free admission and parking. To help celebrate the holiday season, musical selections by the 50-plus voice volunteer group will include new and familiar favorites of the season and the group’s traditional audience sing-along. Under the musical direction of Jordan Bennett with Paul Bradley on the piano, this concert is presented as a gift of music to the Conway area community.